Michigan will host Xavier in the inaugural Gavitt Games. Michigan will host Xavier in the inaugural Gavitt Games on November 20th, 2015. The Gavitt Tip Off Games will be help the first full week of the 2015-16 season, with two games each on Tuesday, Wednesday, Thursday and Friday, and will match up Big East and Big Ten foes in a challenge structure similar to the Big Ten-ACC Challenge. 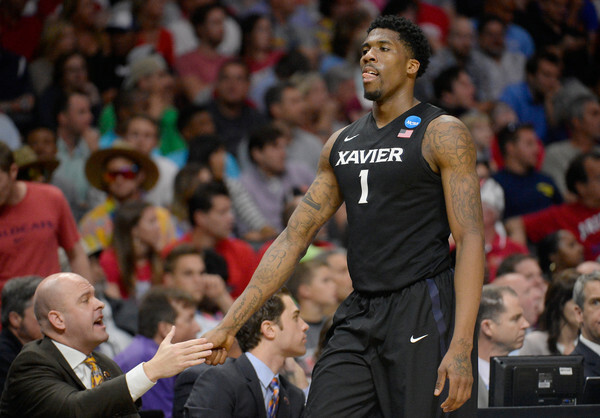 Xavier made the NCAA tournament in nine of the last ten seasons and made the Sweet 16 last year, where it lost to Arizona to cap off a 23-14 (9-9 Big East) season. The Musketeers feature former Michigan recruiting target Trevon Bluiett along with Michigan natives Jalen Reynolds and Edmond Sumner. Big Ten home games, like Michigan’s, will be televised on either ESPN or the Big Ten Network. Fox Sports 1 will televise games at Big East sites. Big Ten programs will participate in the Gavitt Games in four of the next eight seasons. Michigan is also expected to participate in the Battle 4 Atlantis, Big Ten-ACC Challenge (a likely road game) and travel to face SMU. A full rundown of Michigan’s future schedule can be found here.